Cover pencils by Curt Swan, inks by George Klein. The Adventures of Bob Hope ad. "Captain Incredible! 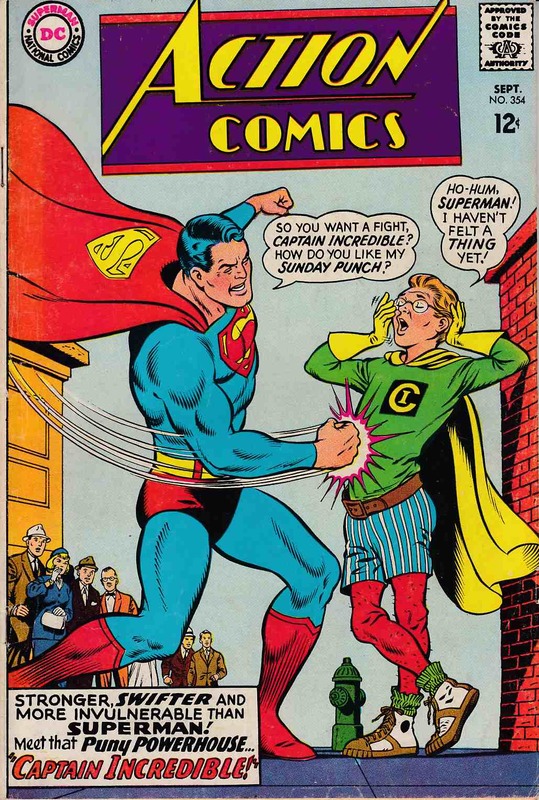 ", script by Cary Bates, art by Al Plastino; Captain Incredible, whose powers are even greater than Superman's, comes to Metropolis to help the Man of Steel, then turns on him. "The Brain-Stealers! ", script by Leo Dorfman, art by Jim Mooney; The Living Library of disembodied brains intend to force Supergirl to give them the ability to conquer the universe.